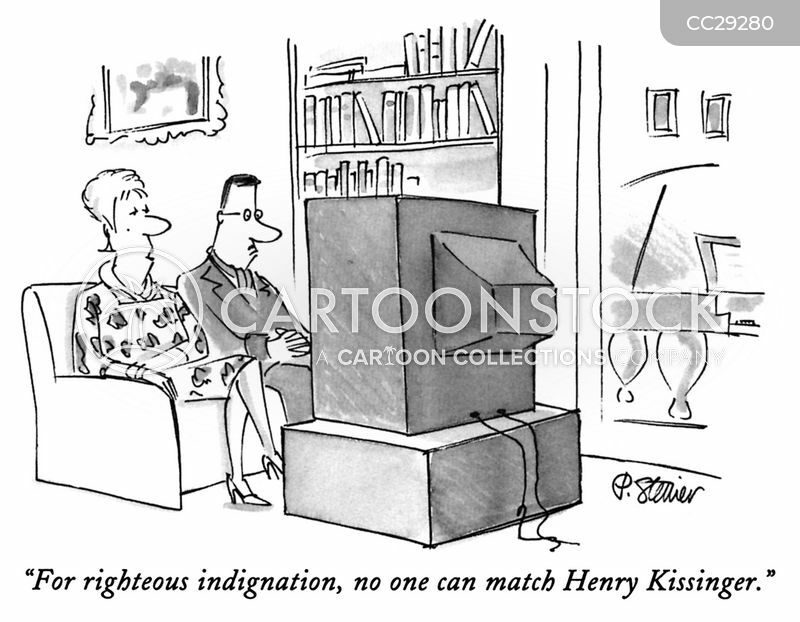 "For righteous indignation, no one can match Henry Kissinger." 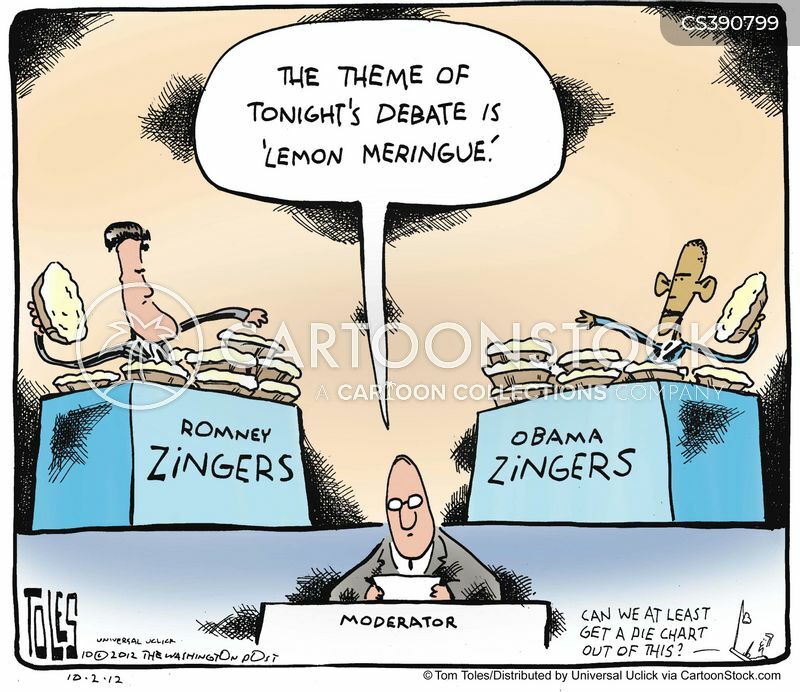 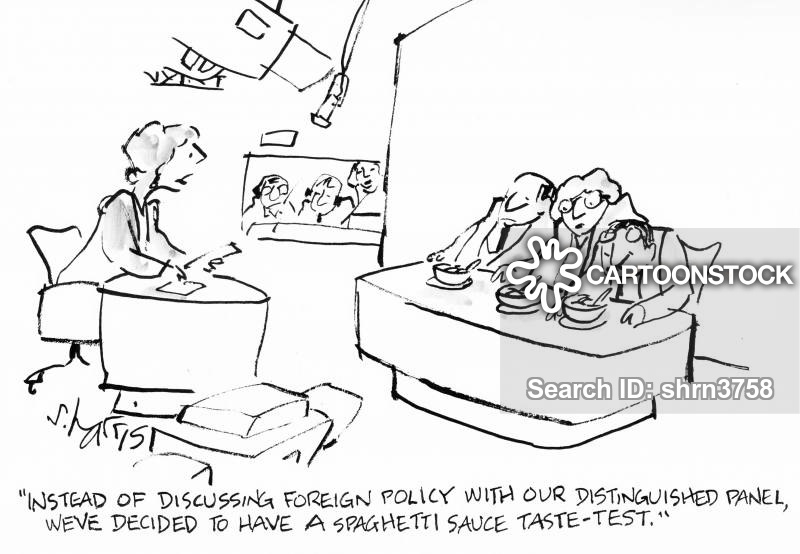 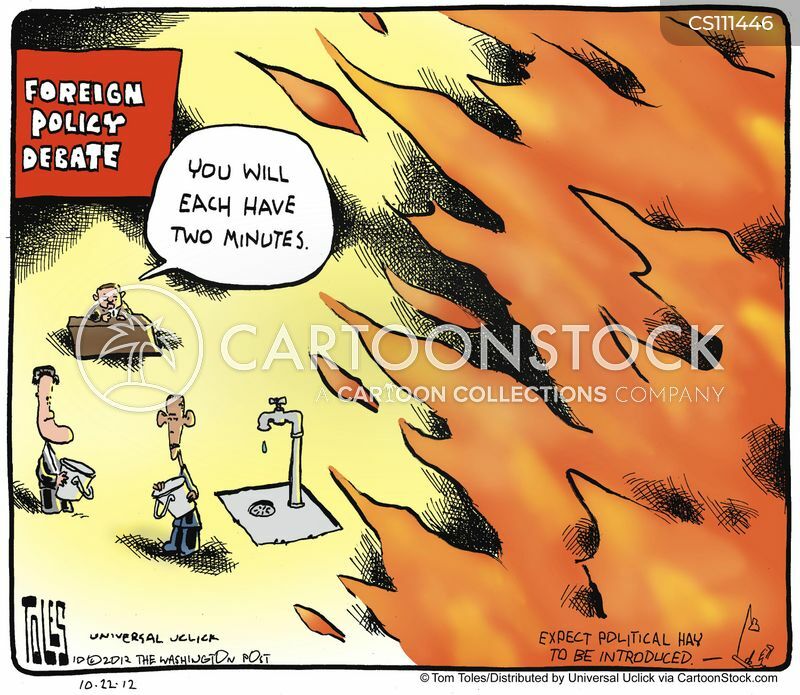 "Instead of discussing foreign policy with our distinguished panel, we've decided to have a spaghetti sauce taste-test." 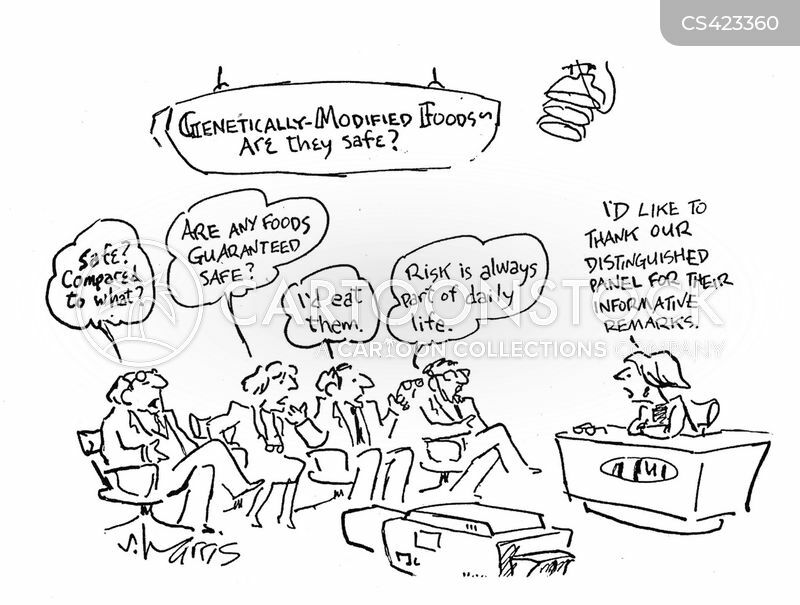 Genetically-Modified Foods: Are they safe? 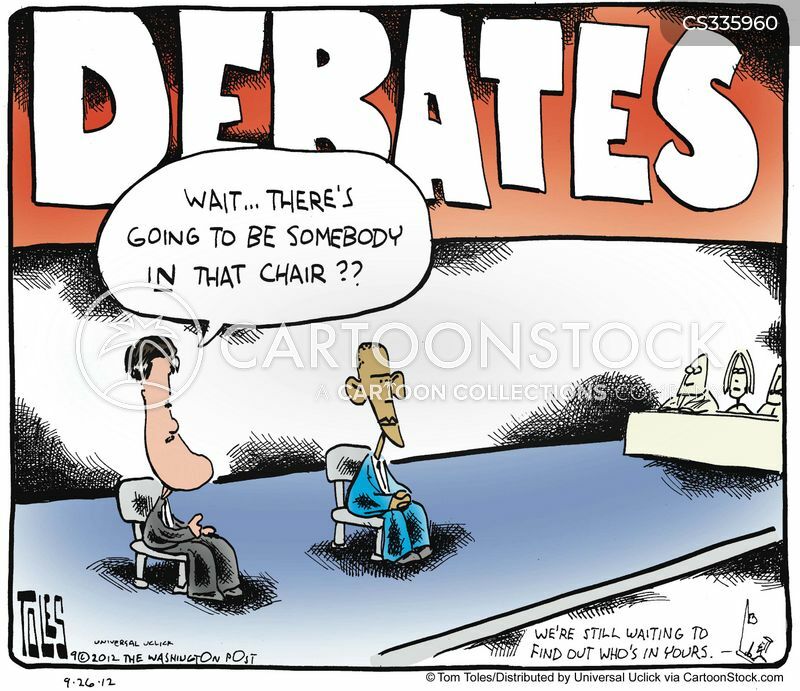 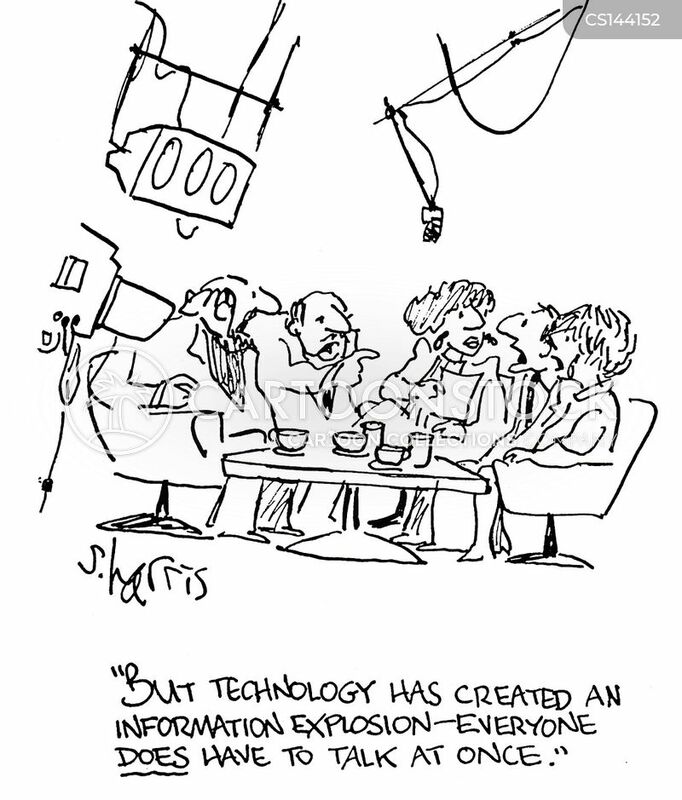 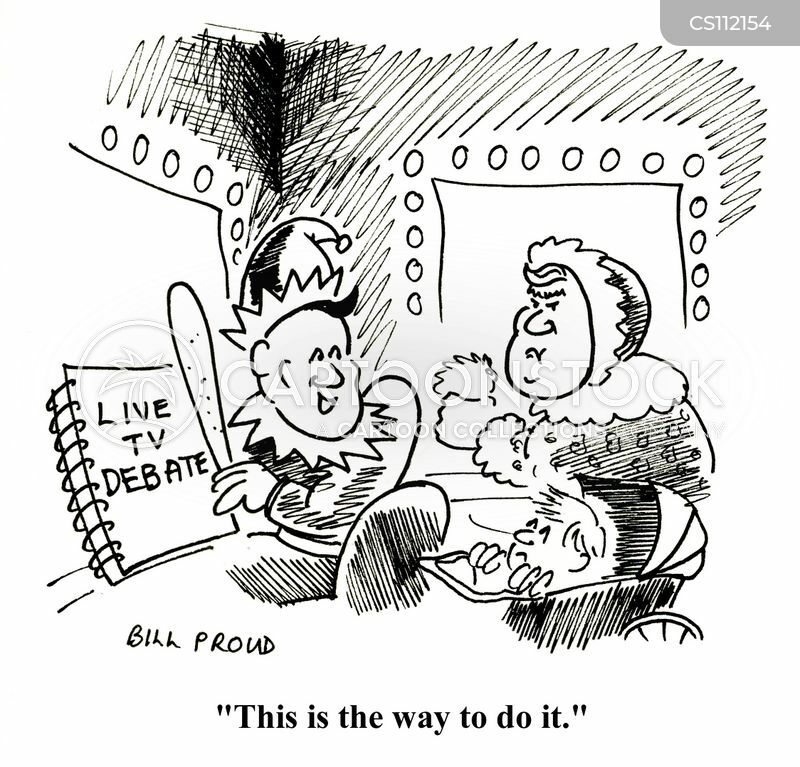 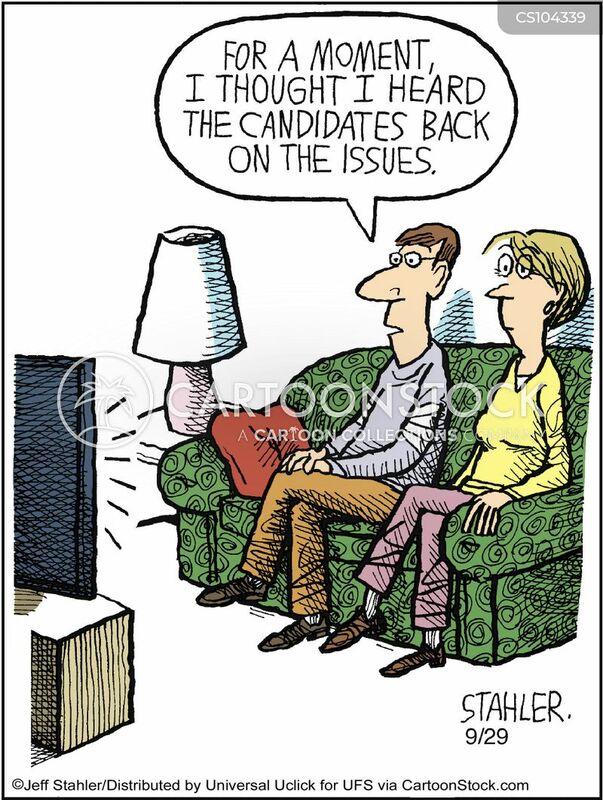 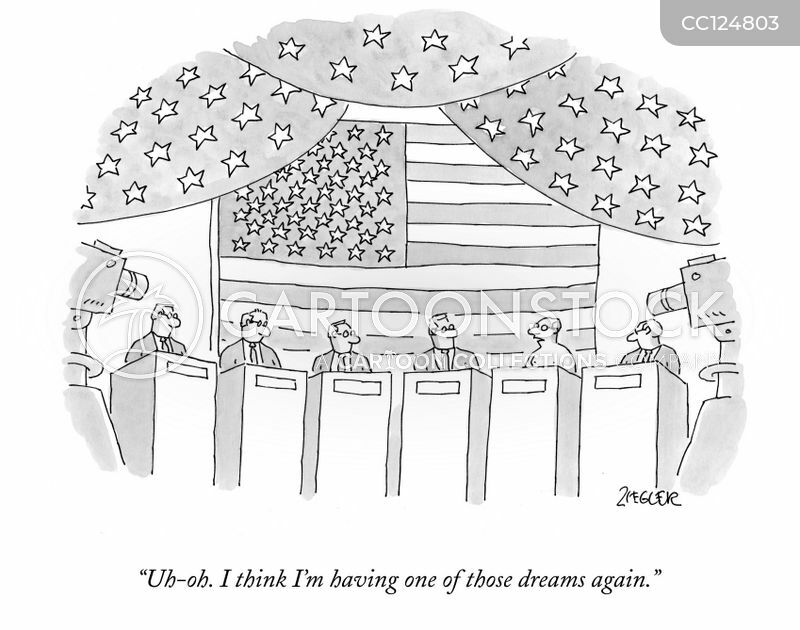 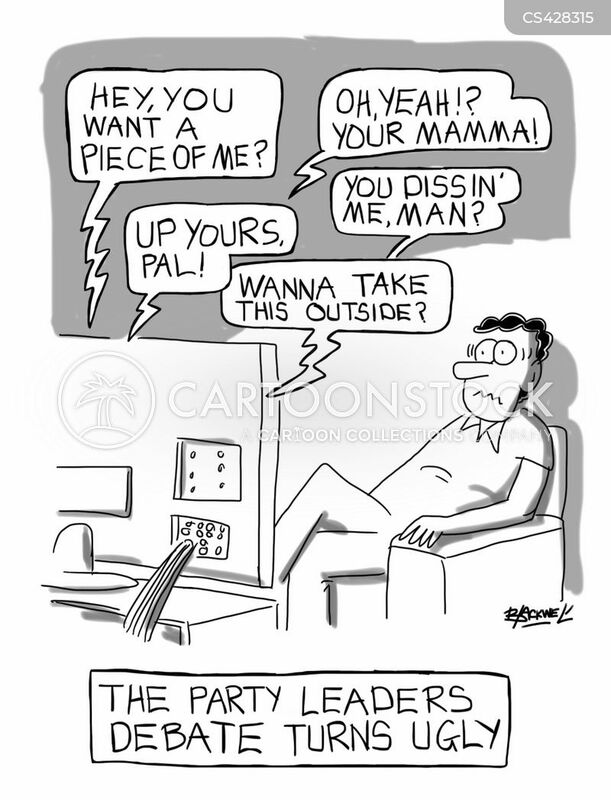 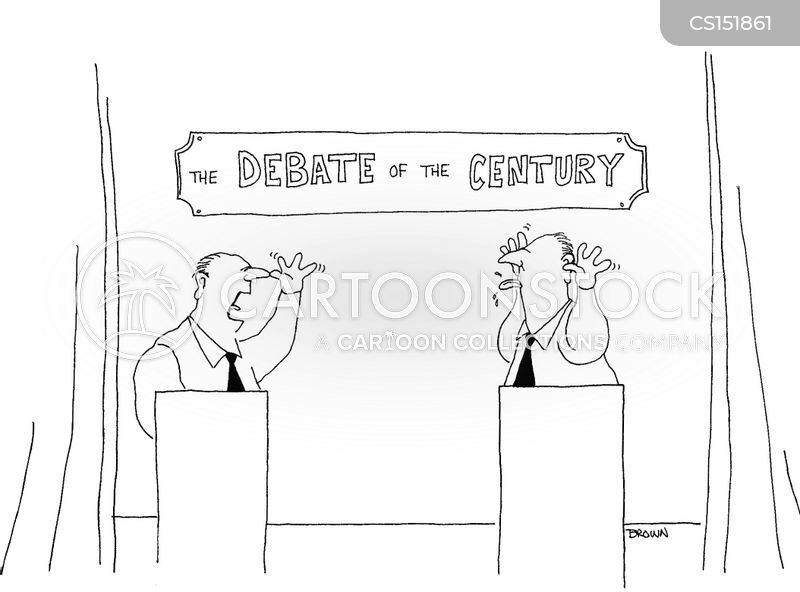 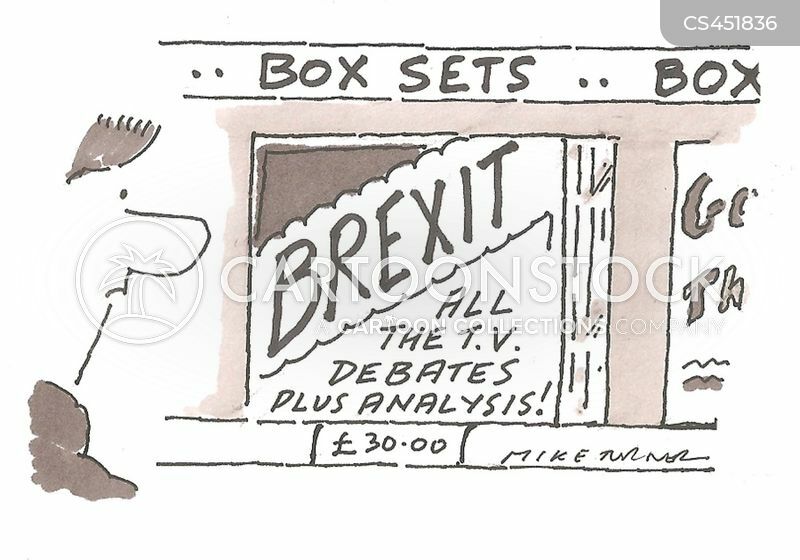 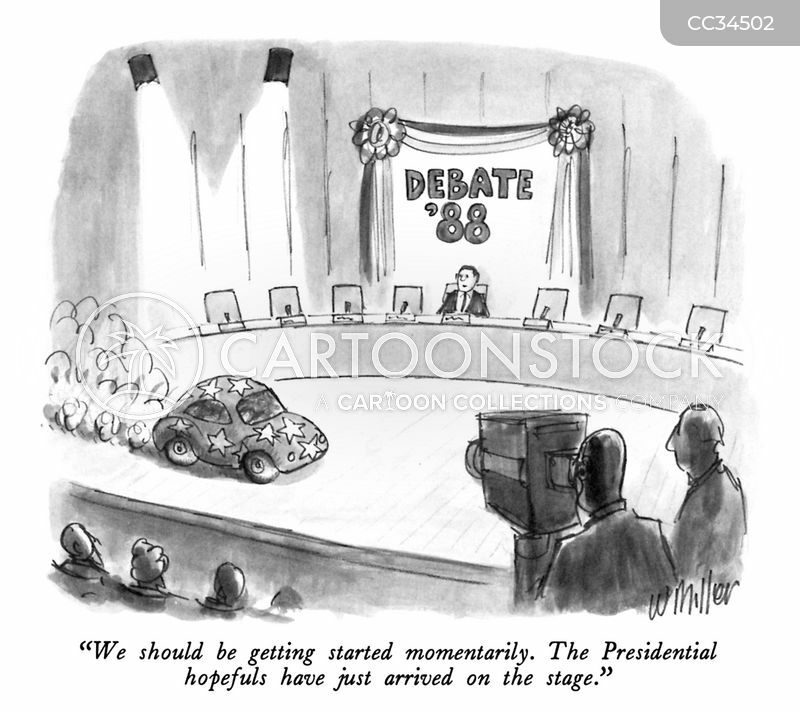 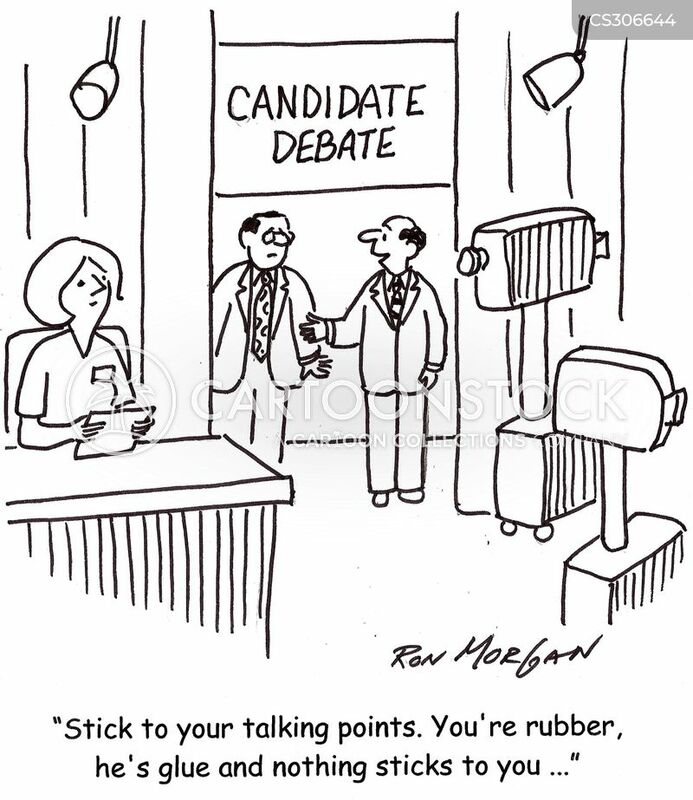 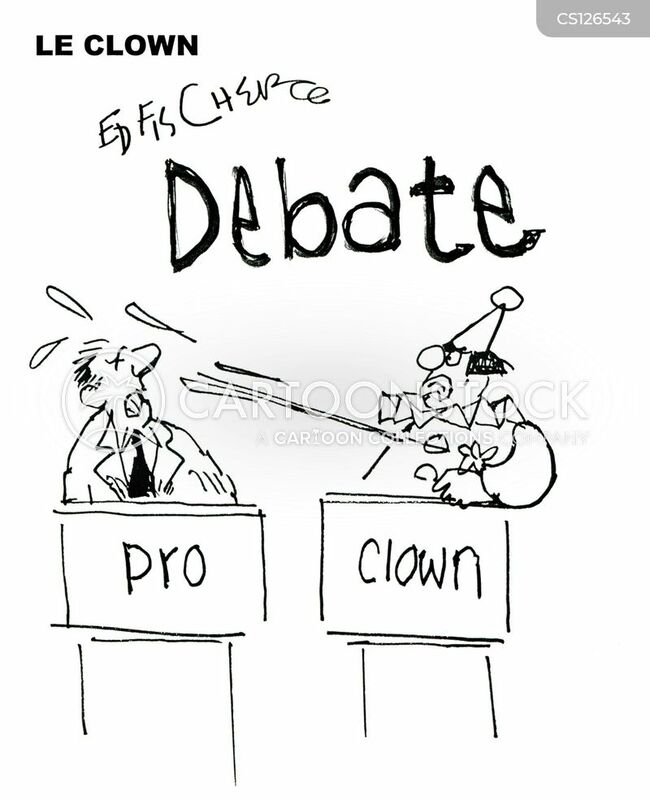 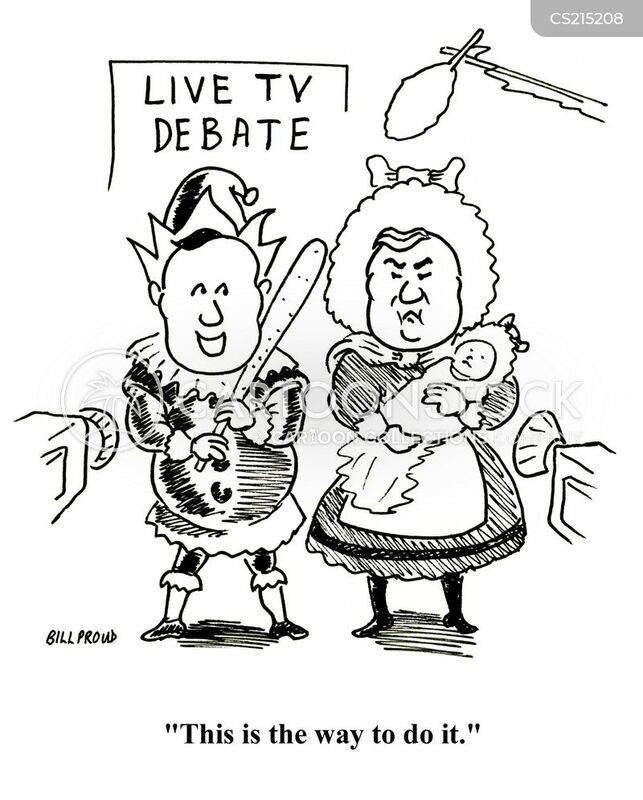 "Too many debates! 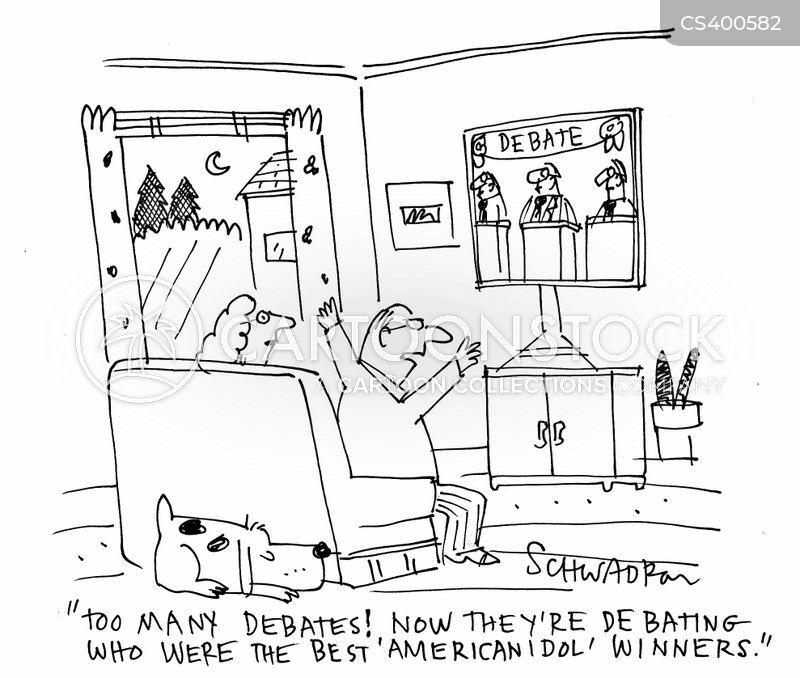 Now they're debating who were the best 'American idol' winners." 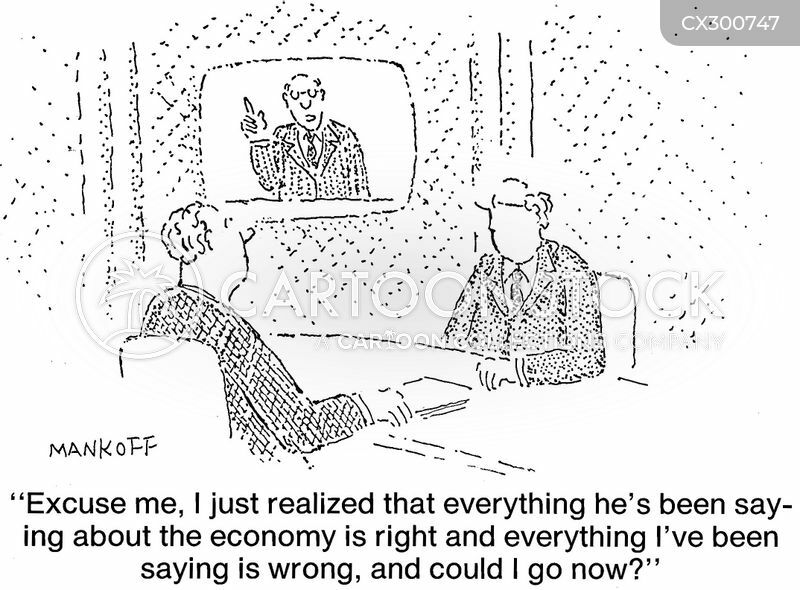 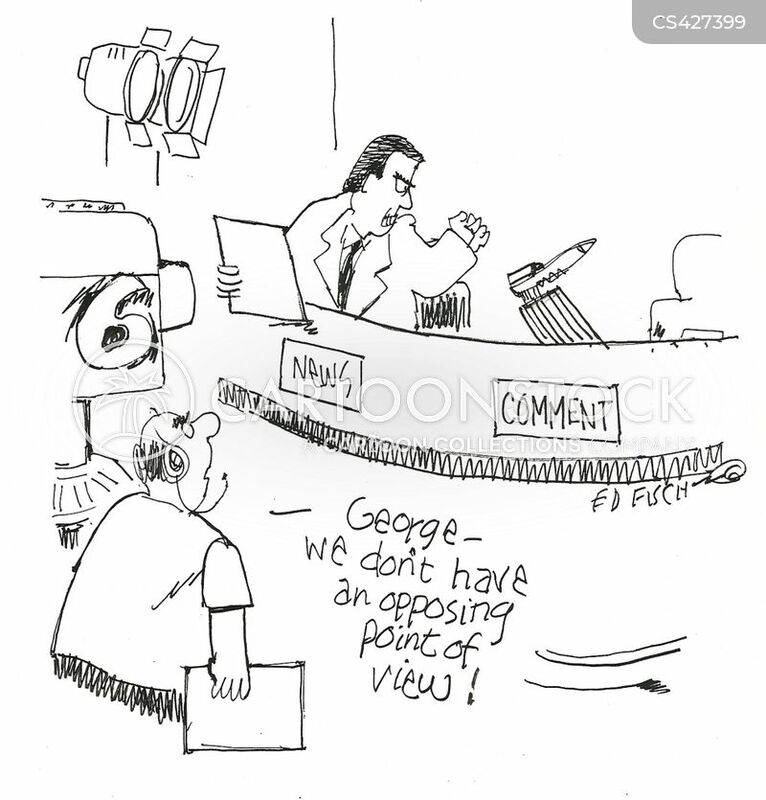 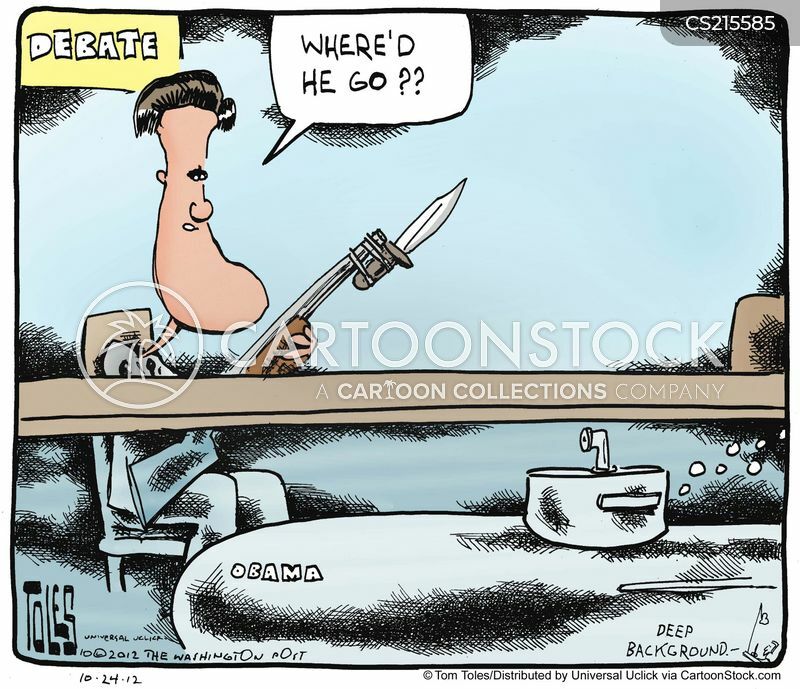 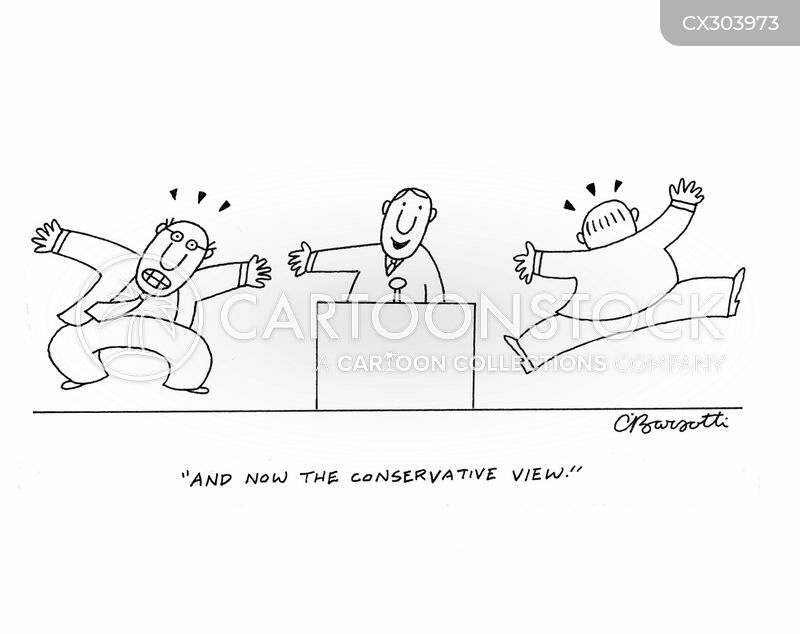 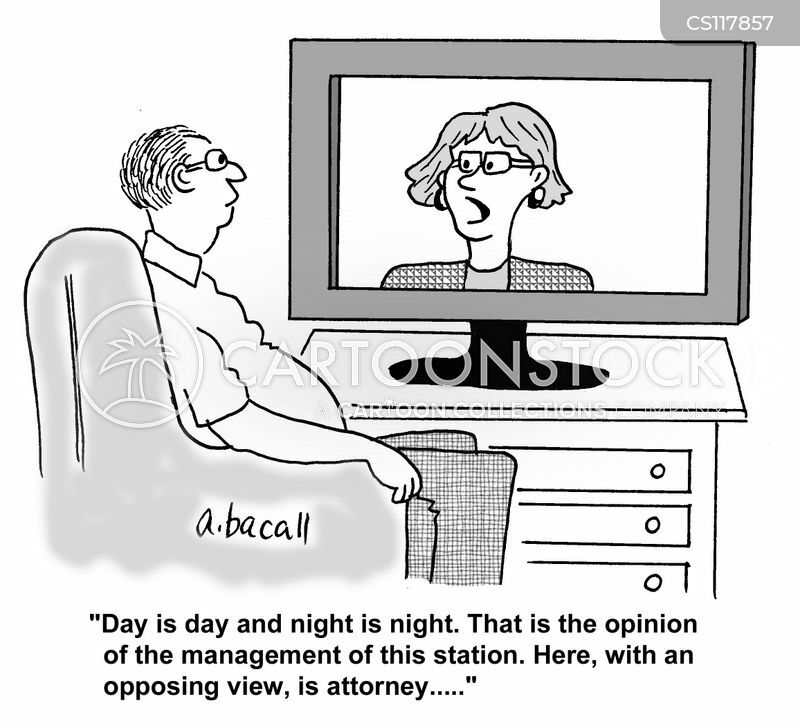 "George - we don't have an opposing point of view!" 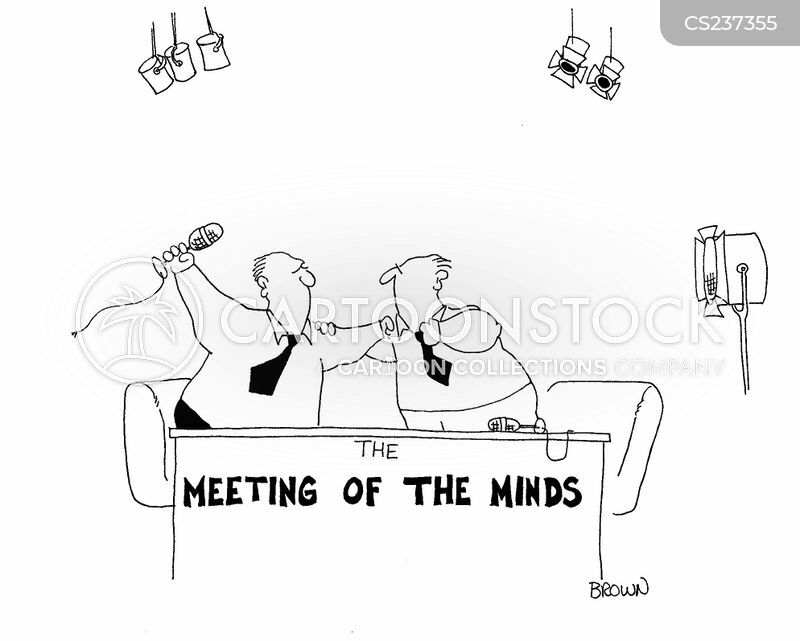 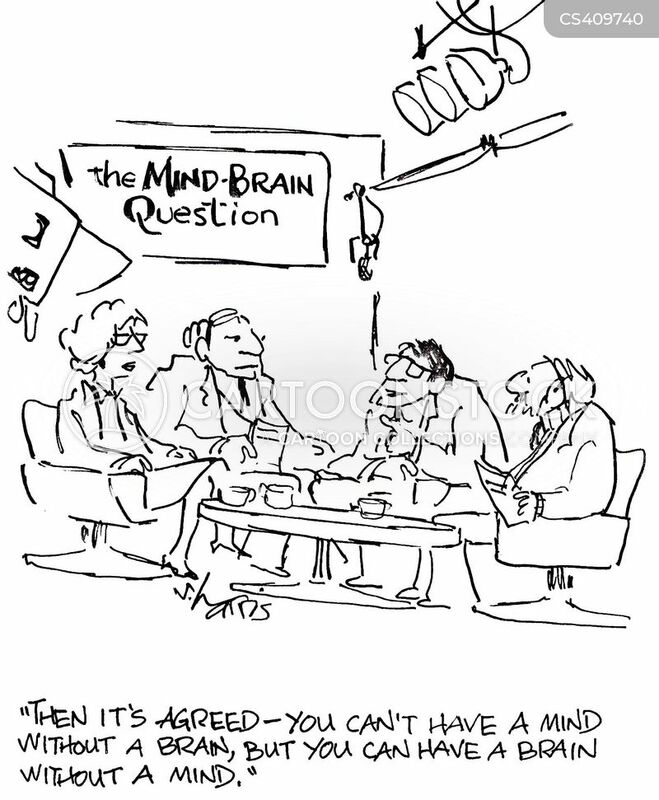 The Meeting of the Minds Debate.